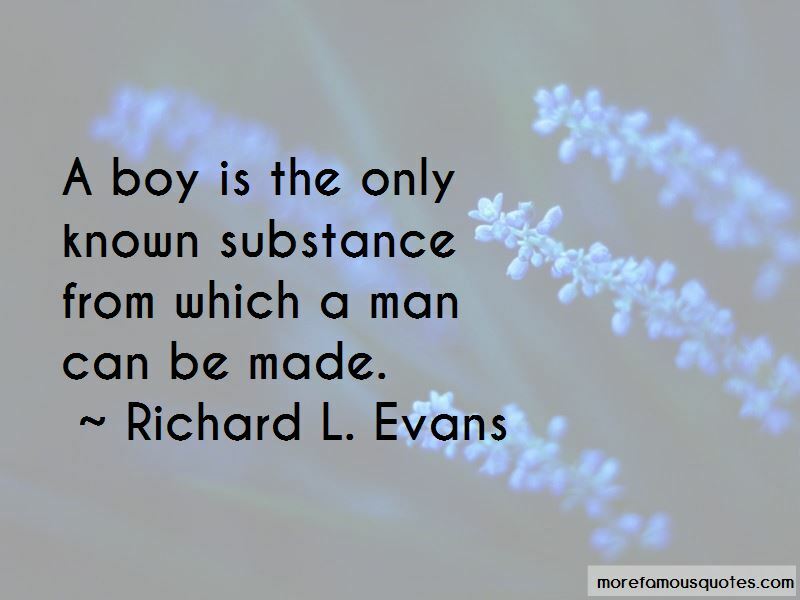 Enjoy the top 66 famous quotes, sayings and quotations by Richard L. Evans. All things need watching, working at, caring for, and marriage is no exception. Marriage is not something to be indifferently treated or abused, or something that simply takes care of itself. Nothing neglected will remain as it was or is, or will fail to deteriorate. All things need attention, care and concern, and esp ... ecially so in this most sensitive of all relationships of life. 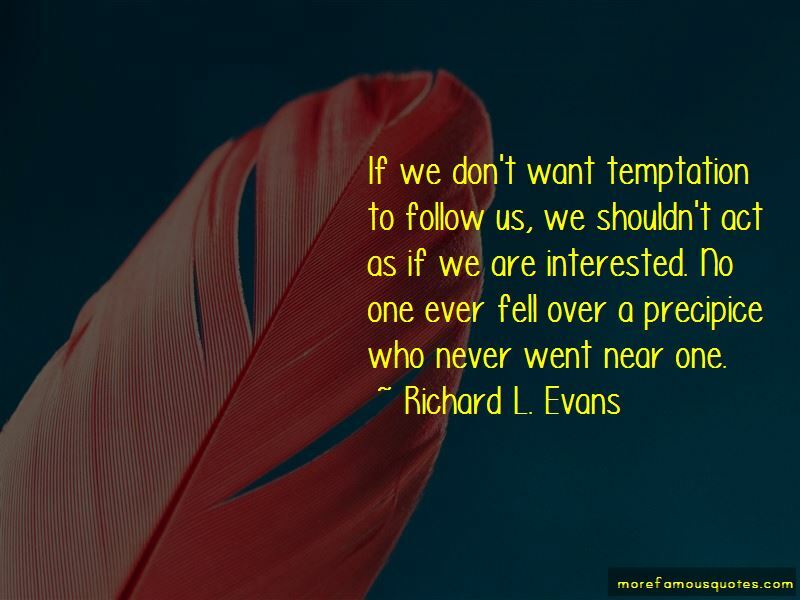 Go ahead with your life, your plans ... Don't waste time by stopping before the interruptions have started. Sincere love is something that sacrifices not something that indulges itself. Sincere love is responsible. It would never knowingly hurt, but would heal. Parents sometimes simply don't have enough hands and time and attention to do all that is urgent. But in all things there is a priority of importance ... and one of our urgent opportunities is to respond to a child when he earnestly asks, remembering that they don't always ask, that they aren't always teachable, that they won't always listen. 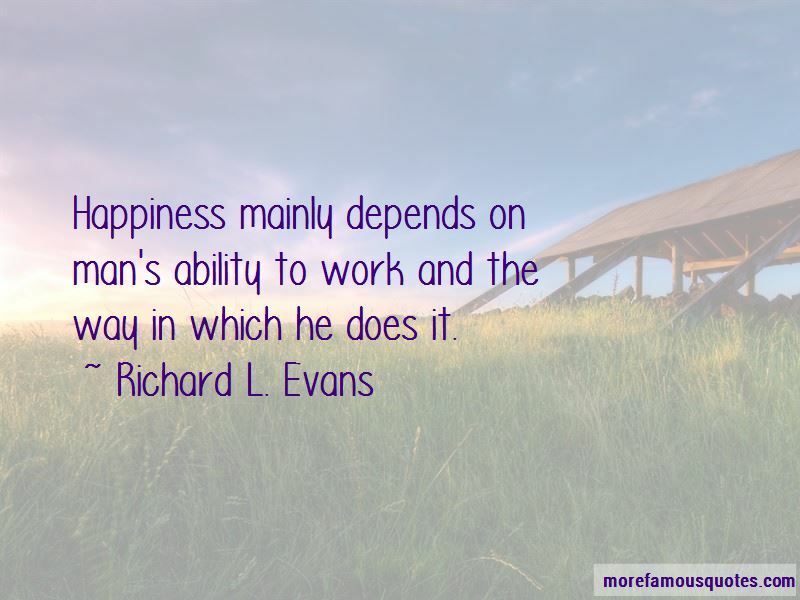 Want to see more pictures of Richard L. Evans quotes? 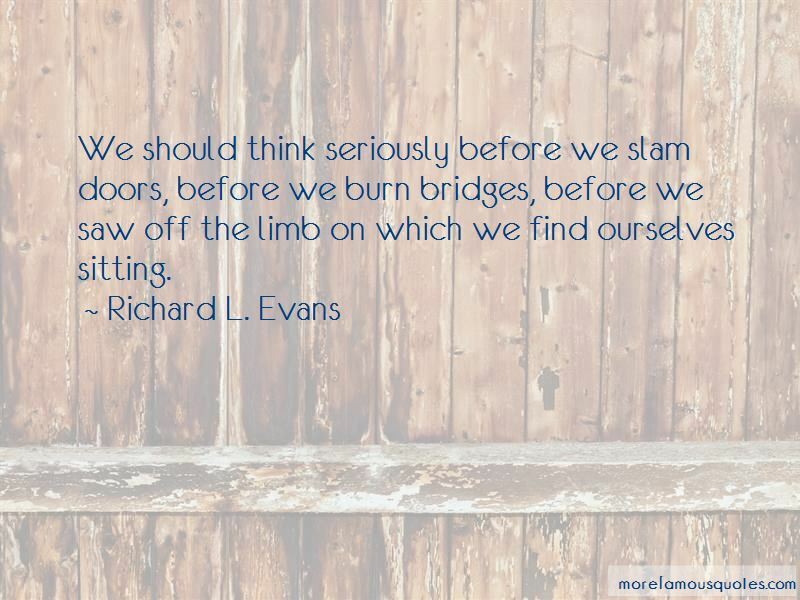 Click on image of Richard L. Evans quotes to view full size.